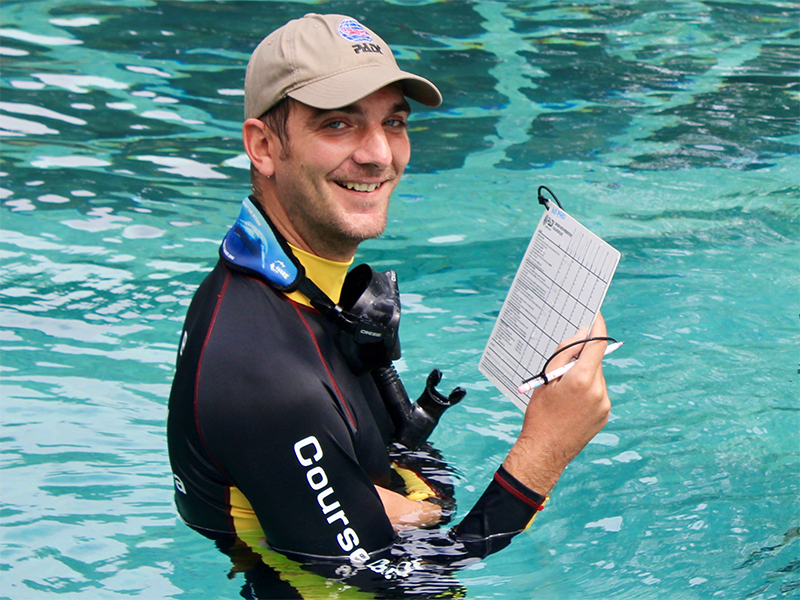 Ever had one of those dives where you no idea what your Divemaster was pointing out to you so ecstatically? Some weird colourful little critter or something so tiny you couldn’t see it or it was so camouflaged? There is a completely different world underwater full of some incredible critters. 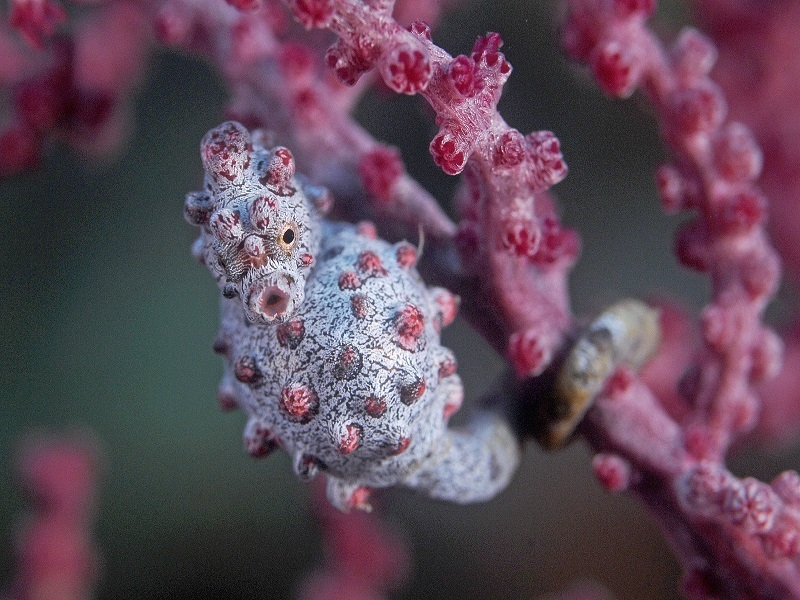 You may have seen a common seahorse, but would you be able to spot a pygmy seahorse? Diving in Bali means some incredible spots with the perfect environments to hunt for some rather special critters. Did you know that up on the east coast in places such as Padang Bai and Tulamben, wherever a rivers runs into the ocean, the environment is rich, it may seem barren to most divers eyes. However if you know what to look for you can expect to find some truly amazing nudibranchs, seahares, shrimps and frogfish too. 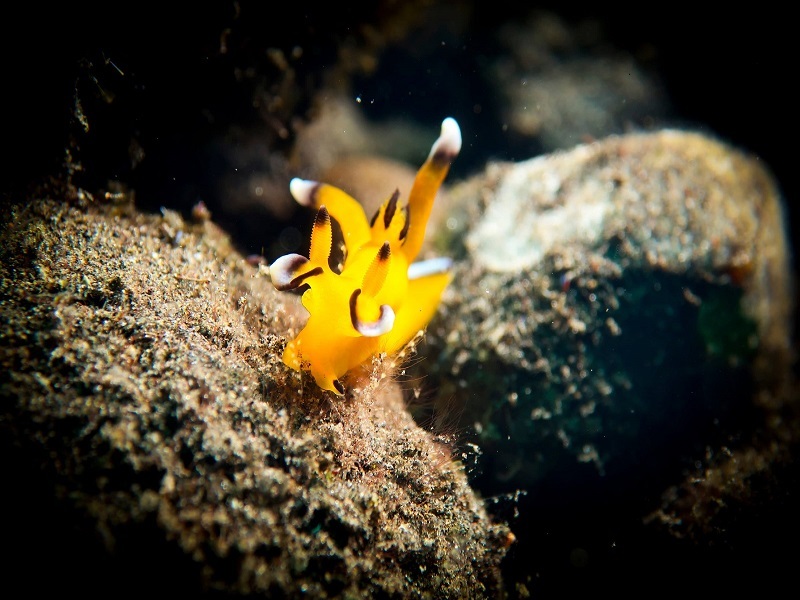 So you finally got your head around colourful underwater slugs called Nudibranchs, but do you know what their eggs look like? Do you also know that the species vary seasonally? Juvenile ghost pipe fish may hide in small gorgonians, once they loose their bloom the ghostpipefish move to the featherstars. 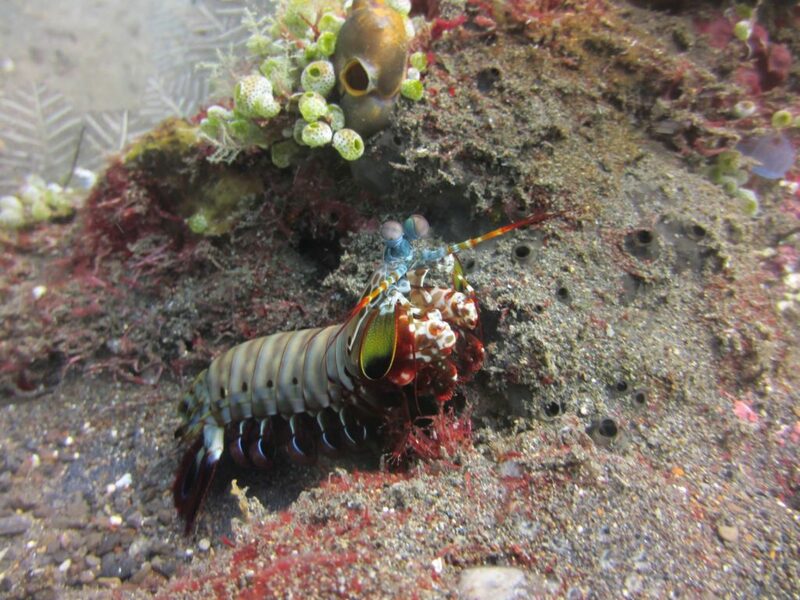 Dont forget to look for crinoid squat lobsters, they often mimic the colours of the feather stars. 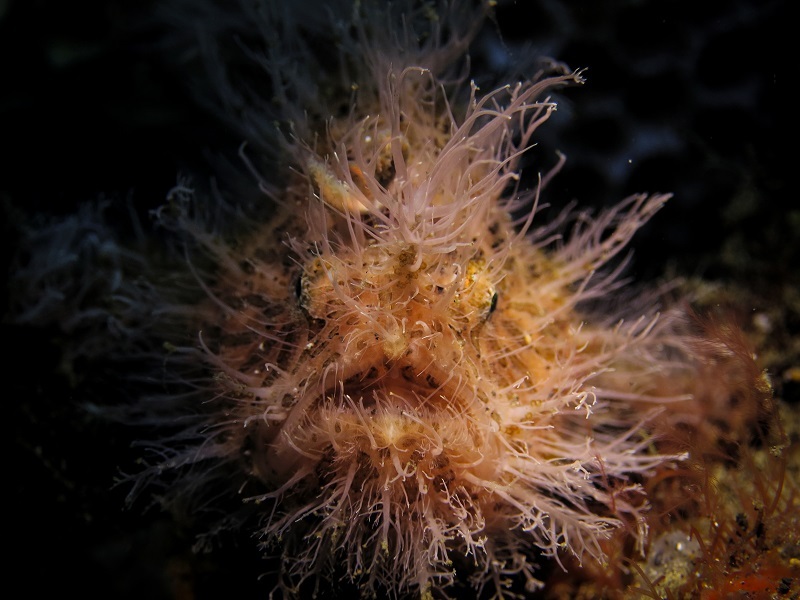 If you see a silty volcanic sandy bottom, just just swim over it as fast as possible, take your time as apart from stingrays, it is a good place near the rubble, rocks and small coral blocks to look for scorpionfish, demon fish and the adorable little seamoths also known as Pegasus. Typically the black volcanic sand on the east coast provides us with the perfect environment to spend our time cruising around in the shallows, take your time, sometimes out of the corner of your eye something moves… is it just algae, wait and see what moves as you may be luck enough to find a hairy octopus. Late afternoon dives are also great, there tend to be less divers around, and a change in marine life. Look for piles of rubble that look out of place, see who comes out of his home maybe a mimic or a wonderpus. It is always a good idea to have access to some identification books for reference, A copy of the ‘Reef Creature Identification – Tropical Pacific’ cannot go amiss! Keep a log of what you see, where you see it, including depth and temperature. You can build up your own list and soon too have eyes ready to spot the most wonderful and weird critters out there. Let our experienced local and international divemasters and instructors guide you and show you the wonderful varied life around Bali. You can even learn more about how best to take photos of these little species. Contact us to book your next trip to macro heaven.